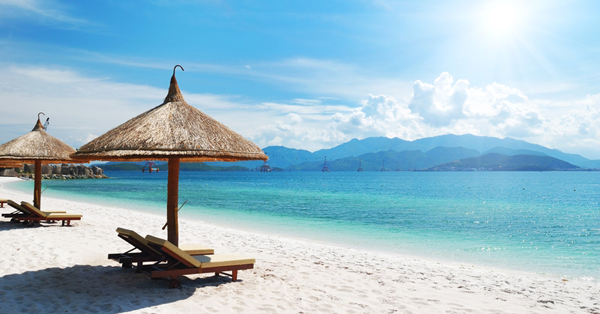 Summer’s almost here, and for a lot of us that means only one thing: vacation time! This season is the perfect time of the year to find the cutest warm weather outfit to lounge by the pool with— and yes, that includes you, mommies! Just because you work hard in the office or at home doesn’t mean that you can’t be on top of the latest styles and trends. To help you out, here’s a short list of the cutest styles that moms can look out for this 2019. Every season has its color: dark greens and reds are great for the holidays, while florals are great for March to May. Brighter colors are perfect for warmer weather, and you can check Pantone’s spring/summer 2019 colors for inspiration! Letting color guide your outfit is always a sure-fire way to put together an ensemble that’s coherent and creative, and you’ll rock the season for sure! High-waisted, wide-legged pants are definitely the “in” thing lately, and they look absolutely fantastic. The Motherchic lists these pants as one of the top trends to look out for this 2019, and no wonder! They’re comfortable to wear, breezy, sophisticated, and will make any mom’s body look instantly stylish. Whether you go for a neutral cream or for funky patterns, these pants are a great addition to your vacation wardrobe. If there’s one clothing item that’ll do perfectly in a pinch, it’s the statement shirt! These shirts are the perfect casual tops, and their unique designs can add a bit of spice to even the plainest outfit. Local brand BNY Jeans has a ton of great designs to choose from, and a lot of them are summer-themed to boot. Simply tuck them into a pair of light-wash jeans or shorts, and you’ll have a simple but effective look that will have everyone asking for more. When you’re worried about keeping the household in order, putting together an entire look can take more energy than you have. Luckily, there’s one style that’s a perfect solution! Ruffles are great for when you want to dress up, but they’re also a cute and easy casual look for the summer. A ruffled sundress is the perfect warm-weather look, and depending on how you accessorize can be super fancy or super chill. Nothing says “summertime” better than a cute romper. Who What Wear ranks the romper as one of the better options for a summer outfit, and with good reason. It’s sleek, comfortable, stylish, and has the added bonus of looking perfect with either sneakers or sandals, depending on your mood. Rompers can come in all sorts of patterns, cuts, and styles, so you can pick the one that’s closest to your personality and come out looking great. This is a definite must-have for the hot weather! - For other outfit ideas, check out this ’Not Just Your Ordinary Tees’ article on the blog! Have you seen the picture above? I'm going to show you a step by step tutorial + video on how I did that look just keep on read below. Introducing the newest makeup line from Althea Korea, they really stepping out their A-game in terms of their own product. Available in 4 different shades (Vanilla, Ginger, Honey, Mocha). It truly leaves out of its name Creamy. It has a thick consistency but blendable. I usually use it to clean the sides of my brows. Tip: Use the Vanilla shade which is the lightest color on the lower part of your brows and for the upper part is Honey. 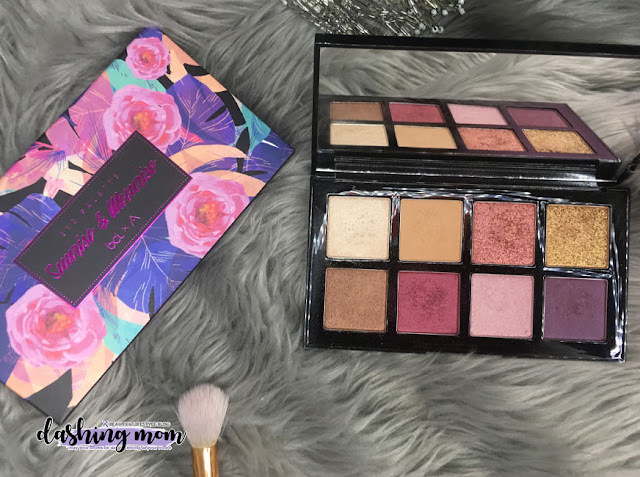 Check out this first Eyeshadow palette from Althea Korea Made in collaboration with Bunga Citra Lestari. Contains 8 shades of colors(7 shimmering + 1 matte shades) a complete makeup look from day time to night time. 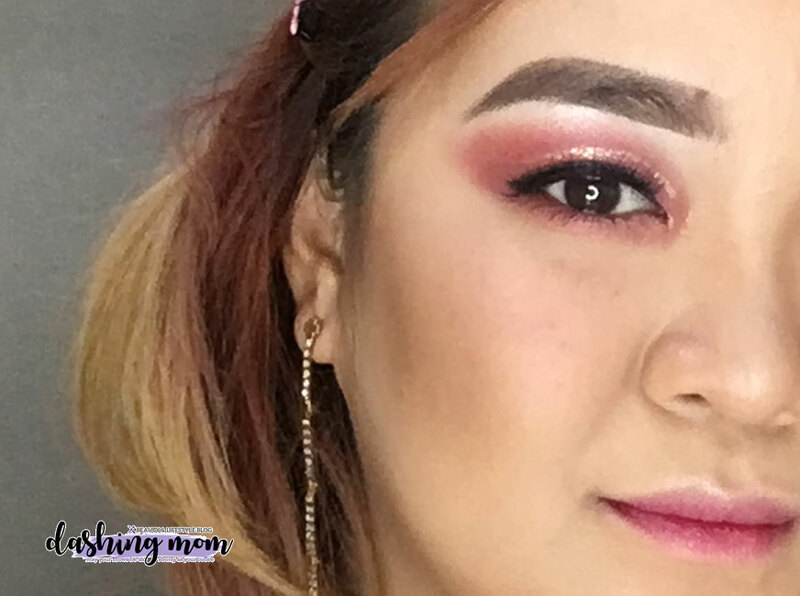 Tip: Use the matte brown shade all over your lids. To the Outer corners of your eyes add the pink shade and blend it inwards. Add the purple shade to the inner corners then blend the edges with the matte brown shade to diffuse the color. 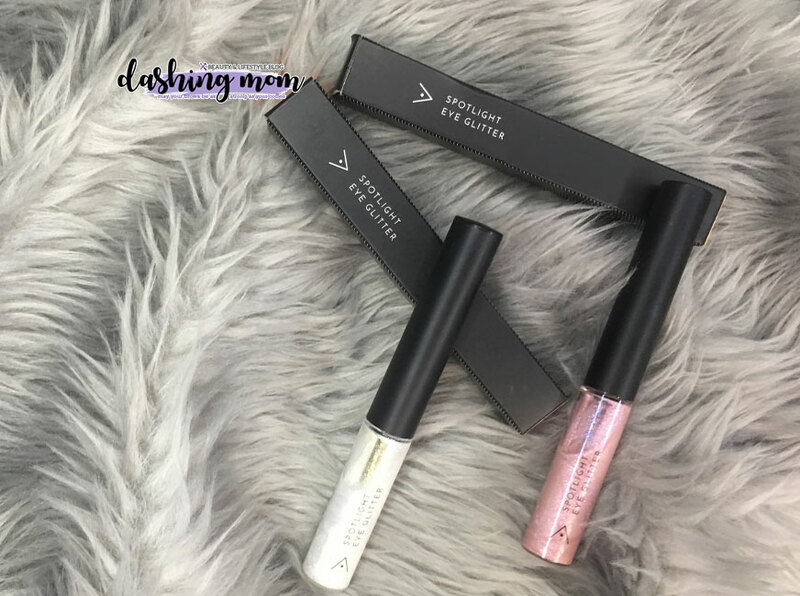 Now I can make some of my dreamed makeup look with these eye glitters comes with two(2) shades (Gold Light & Pink Light). Comes with 4 different shades ( Plum Cream, Strawberry Cream, Peach Cream, Marron Cream) that you can use as your blush-on, eyeshadow, and lip tint. The darker colors are highly pigmented than the lighter one. This 2019, Absolute Distilled Drinking Water explores a territory of love uncommon to most mothers. A discovery of Pure Love and where it sits between the safe comforts of a mother’s love and the uncertainties of letting go. 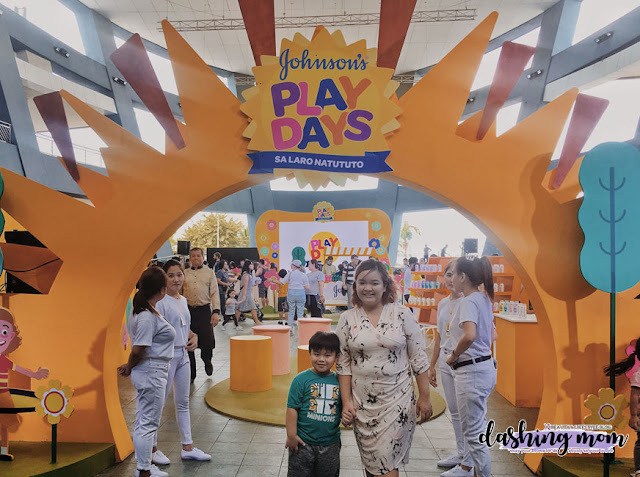 A discussion with Judy Ann Santos-Agoncillo, an Absolute Mom for seven years, as she shares her own story on Pure Love; a discovery she slowly uncovered while raising her own family, and raising herself too, as now a mom to three children: Yohan, Lucho, and Luna. Absolute: What would be the main difference of your experience as a new mom (back when you only had Yohan) to now that you have Lucho and Luna? Judy Ann: It was very different. I had Yohan when I was 26 and at that time parang ang bilis lang ng lahat. Hindi pa nag sink in that I’m already responsible for the life of another human being. Noon, ang alam ko lang nagtatrabaho ako ng mabuti and I thought that was enough. 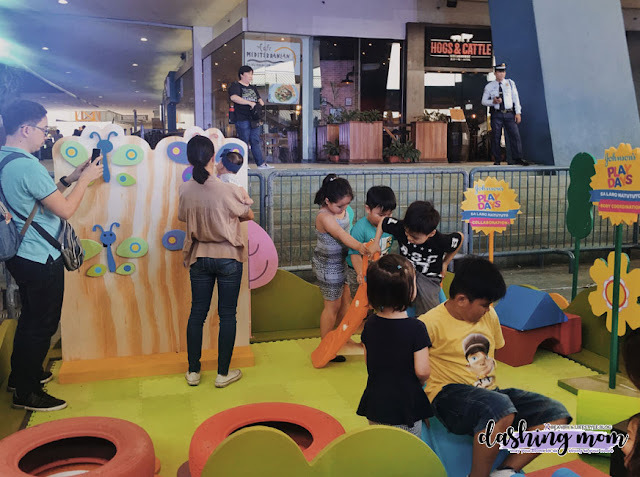 When Lucho and Luna came, my perspective changed because nag-aalaga na ako ng toddler and ng infant at the same time. I learned to be more attentive and give more importance to the love and attention that I give. A: Would you consider yourself a hands-on mom? JA: I try to be as hands-on as I can to all of my children. But I cannot always be present because of industry I’m in. There was a time when Lucho got into an accident, and I was out of town for work. Grabe yung guilt ko nun. It’s never easy. It took me time para matanggap ko that it doesn’t make me a bad mom pag hindi ko nakikita yung milestones nila, or pag wala ako if something bad happens. I am just blessed that I am surrounded by people who love my children. And I teach my kids also na may mga ibang tao din na nagmamahal and aalagaan sila. So they also learn to trust and respect them. A: What would be your biggest discovery about a mother’s love? JA: You have to learn how to Trust. Trust is one of the foundations of any healthy relationship. Parang sa amin din na mag-asawa, Ryan taught me the values of honesty, trust, and respect. And this is what I teach our children too. I learned, especially now that I have Yohan, Lucho, and Luna that you have to trust them, so they also begin to trust themselves. You have to make them feel na may confidence ka sa ginagawa nila, and in return, magkakaron din sila ng tiwala at confidence sa mga ginagawa nila. A: Do you think this is what Pure Love means? Trusting your children to make their own choices? JA: I give my children space so they can have their own experiences. 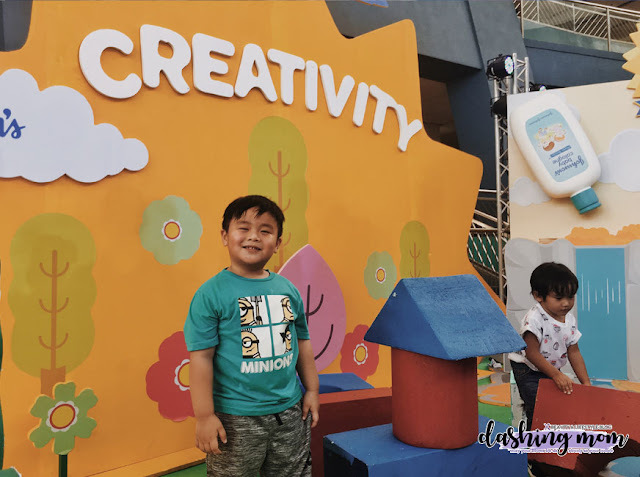 Isa to sa mga discoveries ko sa sarili ko as my experiences also grow as a mom. I make it a point that I make my kids feel that I trust them. So they also trust me back in return and hindi sila takot magsabi sa amin ng experiences nila, kahit good pa yan or bad. I remind them na wag matakot because kahit ano pang pagdaanan mo sa buhay, lagi kang may matututunan. Now that I am a mom of three, the way I understand Pure Love has evolved. Ngayon, Pure Love means I allow them to make their own decisions and may tiwala ako sa mga desisyon nila. I give them the freedom to choose their sports or hobbies, or if gusto nila tanggapin yung endorsement deal or hindi. A: What if they make decisions that you don’t agree with? JA: I listen. Pinapakinggan ko sila and I try to understand that best way that I can. Pero siyempre I also make them understand my point of view and sa paraan na maiintindihan din nila - kung tama ba to or hindi? Before I used to overanalyze their decisions, pero I learned na they’re kids, and kids say what they feel. So it’s a learning discovery din for me. A: How would you encourage other moms to show their Pure Love? JA: Probably isa ito sa mga pinakamahirap gawin bilang nanay, kasi takot tayo mag let go. But always remember that they will only learn how to trust themselves, when we make them feel that we trust them first. To moms, hindi natin malalaman how much they will grow if hindi natin sila bibigyan ng chance. We let go little by little, so we allow them to grow and be their own person. That’s what I’ve learned about Pure Love today. It’s trusting them so they can be their own person. Motherhood is indeed a journey of trust for Judy Ann. It is learning to co-create this life filled with decision-making together with her children, and that her greatest discovery yet as a mom is realizing there is Pure Love that continuously grows inside her. 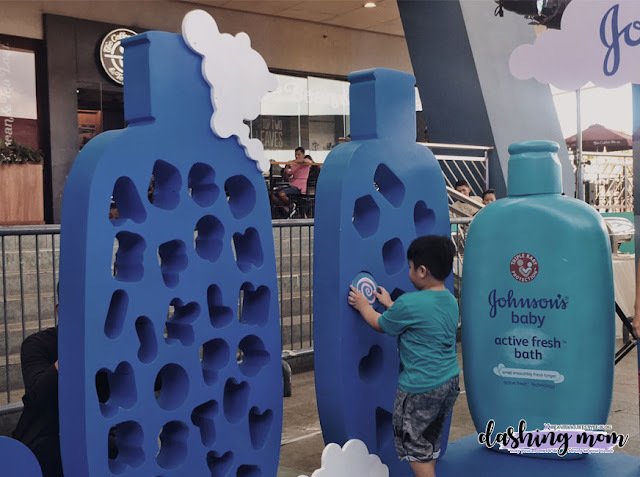 For the first time in seven years with Absolute, Judy Ann Santos-Agoncillo stars in her first-ever TVC with children Yohan, Lucho, and Luna in celebration of the brand’s newest campaign #PureLoveTrusts. This gives light to one of the biggest fears and milestones of a mother – trusting and letting go. Absolute aims to inspire mothers to find within them the heart to trust their child’s own decisions. To understand that trusting is a continuous learning process – from supporting their decisions, being present as they face the consequences and helping them make sense out of it. It also means hoping that whatever choices they make, these will all lead them to the person they’ve always hoped of becoming. Shopee always brings their A-game for this year's Intenational Women's Day, the leading e-commerce platform in Southeast Asia and Taiwan, partners L'Oréal, the world leader in beauty, for Shopee’s first regional Super Brand Day. Shopee users across seven countries will have a chance to get exclusive range of deals from the top three Women’s Internationally Favorite L'Oréal brands from across the world – L'Oréal Paris, Maybelline New York, and Garnier – that serve the need of female shoppers at every age range and beauty profile. 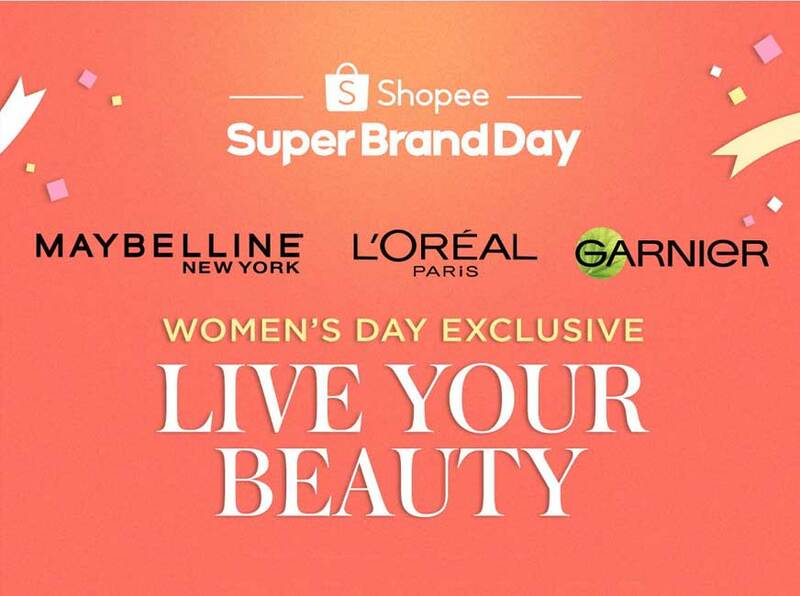 L'Oréal x Shopee Super Brand Day will run from March 6 to 8 with a theme of Women's Day, Live Your Beauty. There will be lots of L'Oréal offers, giveaways and a limited edition beauty box exclusively available via the L'Oréal Official Store on Shopee Mall. As an International Women’s Day special, Maybelline New York will also be launching a limited edition Empowered Box exclusively on Shopee, containing the latest shades of Maybelline New York’s best-selling lipstick, the Maybelline SuperStay Matte Ink. Each limited edition Empowered Box contains two Maybelline SuperStay Matte Ink lipsticks and a Maybelline SuperStay Eraser. L'Oréal Paris: 50% off all Color Riche Matte lipsticks, including highly popular shades Rich Merlot and Hinted Blush; and 50% off Magic Retouch hair root concealer spray in Mahogany Brown. Maybelline New York: 50% off all Powder Matte and Creamy Matte lipsticks on March 8 during 2 rounds of flash sales at 12MN to 2AM and 12NN to 2PM. Garnier: Buy 5 Take 2 promotion on all variants of Garnier Serum Masks, and up to 22% off on Garnier Micellar Water. Shopee users can also stand to win additional discounts and special prizes by taking part in the L'Oréal-themed Beauty Ninja game, and a series of social media giveaways. Users who shop from L'Oréal Paris, Maybelline New York, and Garnier official stores on Shopee on March 8 also stand a chance to be one of three lucky raffle draw winners of a year’s supply of products from the brands. Finally, Shopee will host a special Facebook Live session on March 8 with Filipino online stars Doll Up Mari; and Kristine Roces, also known as RealAsianBeauty, to give away a wide array of best-selling products from L'Oréal. All L'Oréal products can be found via the L'Oréal Official Store on Shopee Mall. Products under Shopee Mall come with 7 days return, 100% authentic guarantee, and free shipping. 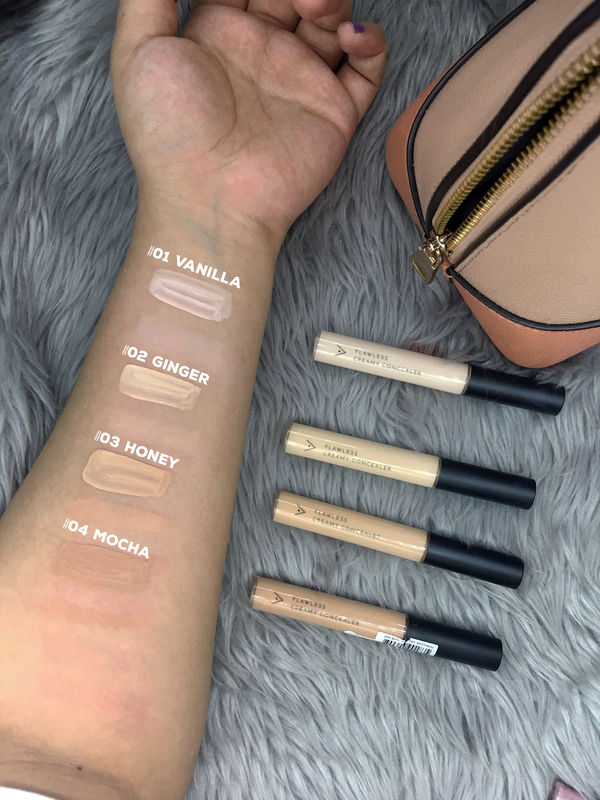 Shop the L'Oréal x Shopee Super Brand Day: https://shopee.ph/m/super-brand-day.